Home Gaming News NEW RELEASE! MDF Scenery – Medieval Lost Burg! Pwork Wargames MDF terrains! Fantastic new release from Pwork Wargames! 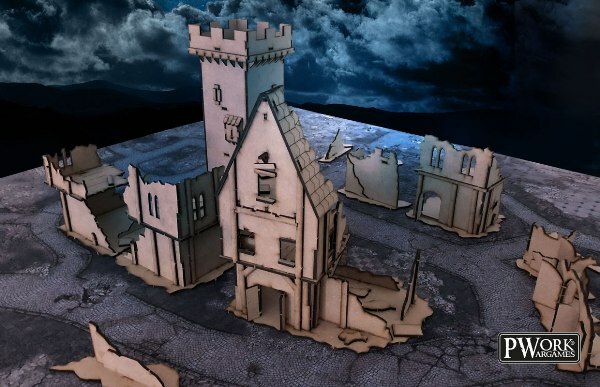 New MDF Scenery – Medieval Lost Burg 3D terrains! MDF Scenery – Medieval Lost Burg is a new line of 3D scenery terrain sets consisting in some different scenic elements made in MDF material, ideal for historical and fantasy settings of medieval urban fights; two Medieval Lost Burg kits are available, each one including Sci-Fi watchtowers, multi-floor buildings, walkways and much more. Each kit is composed by a different number of 3D scenic elements, from 5 to 8 terrain elements. Check also the kits bundles, to have more kits with a little discount! With MDF Scenery – Medieval Lost Burg you can make your battles more realistic and more engaging! Sneak among the alleys of a medieval Lost Burg!